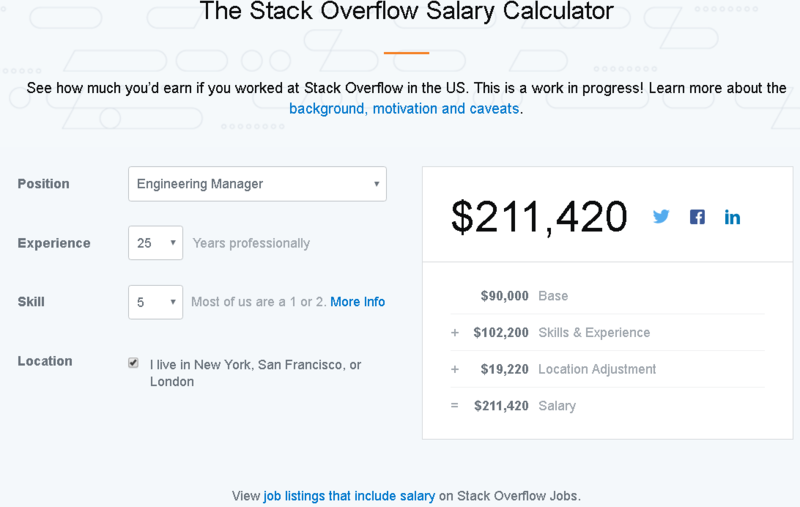 After discovering that job ads listing salaries are much more effective, developer Q&A site Stack Overflow has embraced public salary transparency with the introduction of the Stack Overflow Salary Calculator. 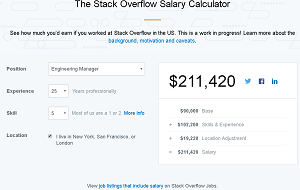 With the new online tool, prospective employees can learn, for example, that a "Developer" working for Stack Overflow in the U.S. generally makes $6,400 more annually ($95,300) than a "Site Reliability Engineer" ($88,900), with all contributing factors being equal. Those contributing factors that are tweakable in the tool include experience level, skill level and location. For example, the above scenario presupposes one year of experience, a skill level of "1" and a location not in New York, San Francisco or London. In addition to the aforementioned positions, the tool takes these factors into account to reveal salaries for product designers, marketing designers, engineering managers and product managers. Engineering managers are on the high end of the scale. So maxing out the experience (25 years), skill level and location, an engineering manager is projected to pull in $211,420 ($90,000 base, $102,200 for skills and experience and $19,220 for a location adjustment). Hard research backed the decision to publish the tool. After including salary information in some Stack Overflow job listings, the company ran an A/B test on the response results to measure the difference. "Remarkably, we learned that job listings which include a salary range got 75 percent more clicks than job listings that don't," the company said in a blog post last week. "With this experiment, we're even more convinced that transparency isn't just the right thing to do, it's good for companies, too." The company said it was inspired by the "boldness and leadership" exemplified in the "Transparent Salary Calculator" published by Buffer -- a social media management company -- to develop its own tool. Helping with that decision were the surprising A/B test results, which seemed to hold true across differing conditions. "What if a job has a relatively low salary -- is it still worth showing?" the company said. "Generally speaking, yes: we found that showing any salary range led to an increase in CTR [clickthrough rate], though higher salaries led to a greater bump. For American jobs, we saw roughly a 60 percent increase for jobs with salary ranges centered below $100K, and about a 100 percent increase (doubling) for salaries above $100K." 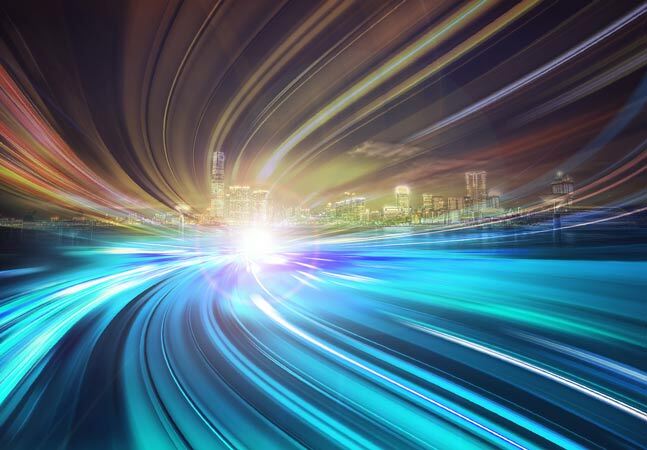 The new tool is still evolving and lacks certain functionality, such as covering all positions at the company, not taking stock equity into account and only addressing U.S. salaries. 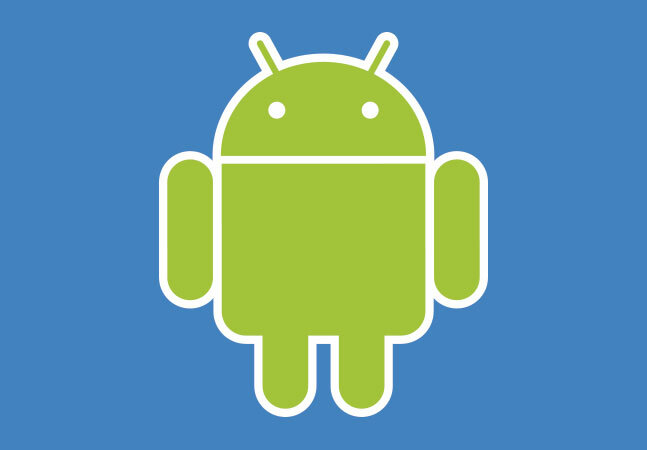 Nevertheless, the company has high hopes for the salary transparency initiative. "We hope that moves like this will inspire other employers to greater transparency," the company said. "A lack of transparency is what economists call an information asymmetry: it's in companies' interests to keep these numbers close to the vest. 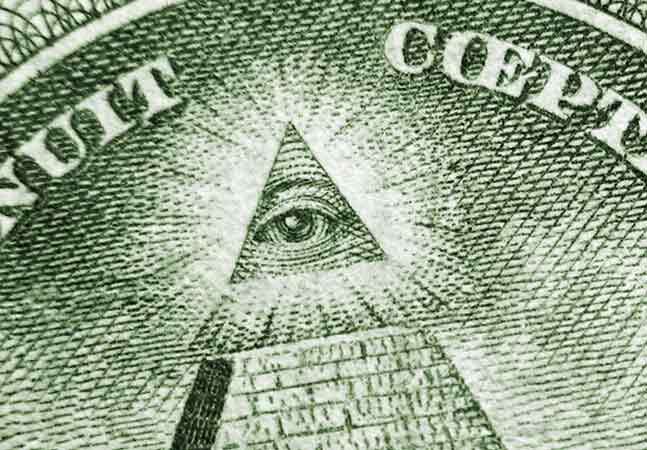 Individuals are uncomfortable talking about salary sometimes, too." "We believe that conventions can change," the company continued. "If more companies become open on salary, perhaps openness will become expected."